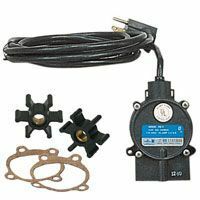 Little Giant WGP-80-PW (566417) is a Direct Drive Dual Discharge Pond/Waterfall Pump with 16' cord. 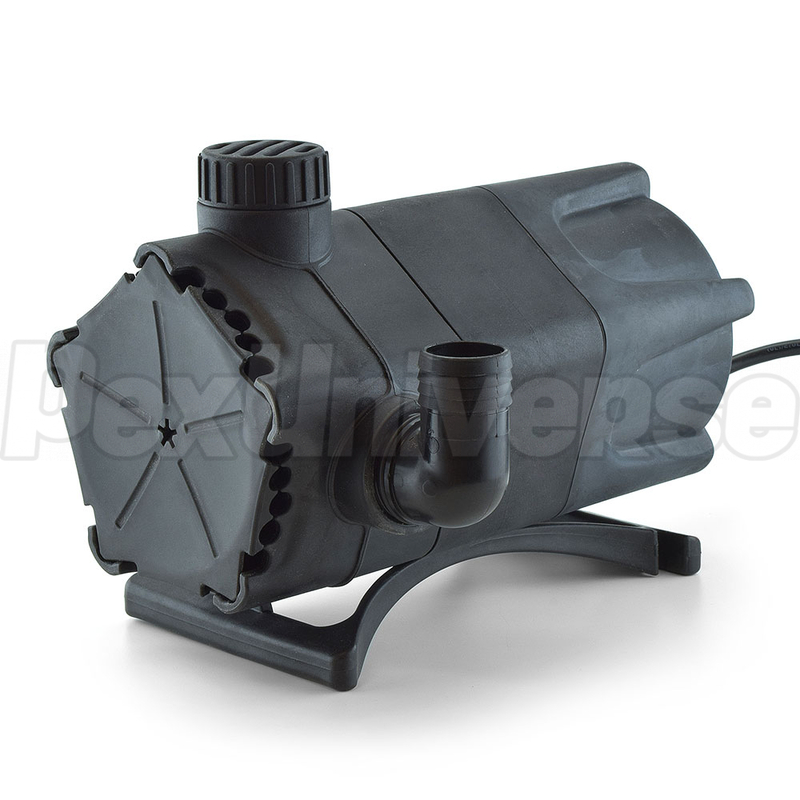 This Little Giant Pump has the unique feature of having dual 1-1/4" FNPT discharges and has been designed to operate waterfalls, streams, and fountainheads or just circulate the water in a pond. 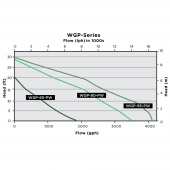 Dual discharges of the Little Giant WGP-80-PW pond pump make it possible to perform two of the above tasks at the same time without having to purchase two pumps. 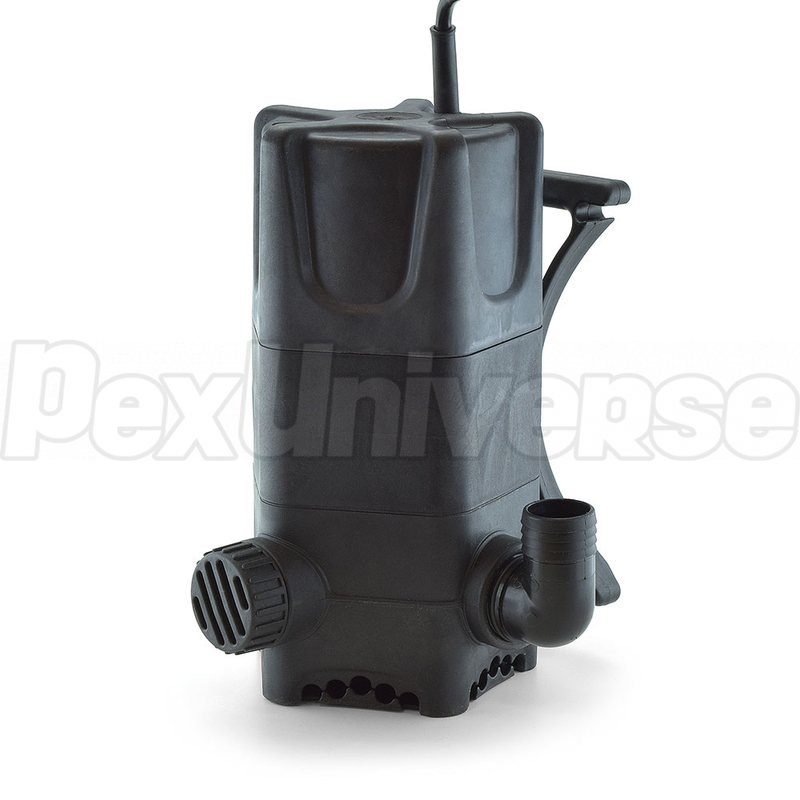 A cap plug included to allow one of the discharges to be closed if only one discharge is to be utilized. An elbow adapter is also included to adapt from the discharge of the pump to 1-1/4" smooth tubing. 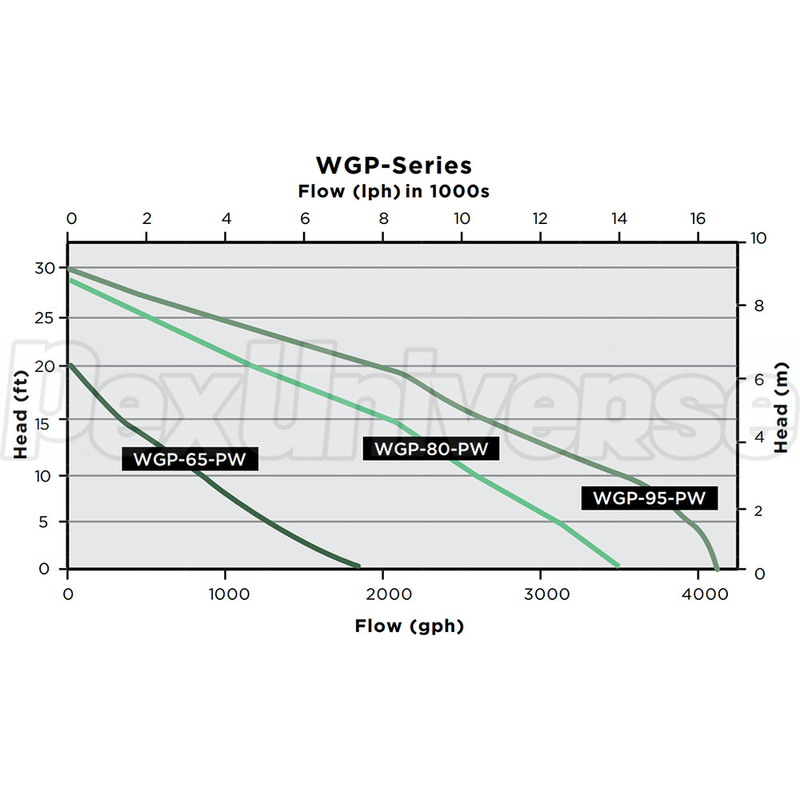 The Little Giant WGP-80-PW can either be installed in the upright or vertical position or it can be installed in the horizontal position lying on the base.